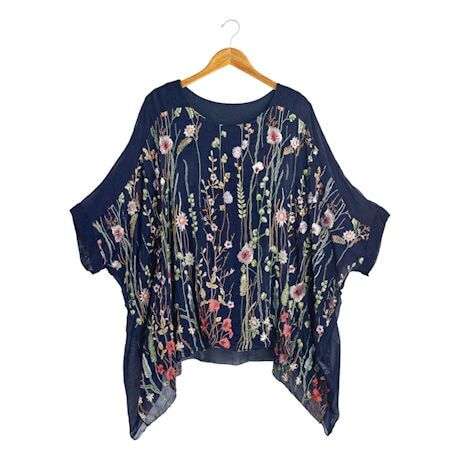 Ravishing in navy blue viscose, exquisitely embroidered with wildflowers. 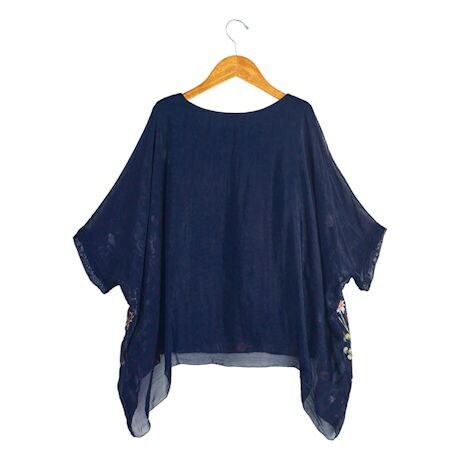 Easy fit, loose, flowy tunic has a wide rounded neck, drop shoulders, and high-low hem. Comes with a matching tank. Sizes S/M(6-12), L/XL(14-20). S/M hangs 25". Hand wash. Made in Italy.